Bert Corley Discusses Feedsacks at May 20 Meeting! 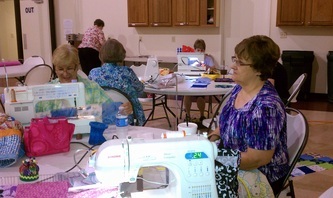 Saturday Sewcial date changed to June15. See details below! 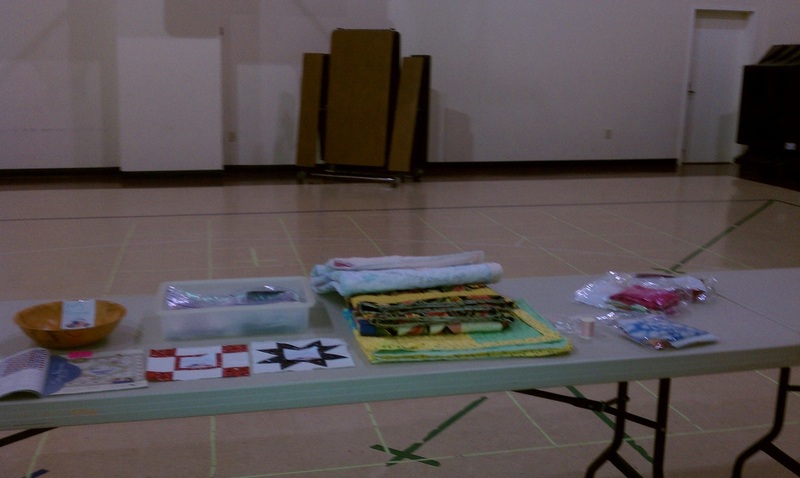 Sharpsburg woman selling vintage quilts, see details here. 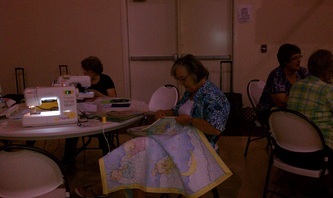 Thanks to everyone who came out for the Saturday Sewcial and helped with the Community Service Quilts. 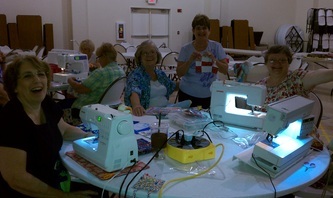 Several people were sewing on tops, working on binding, and making blocks for the Fallen Soldiers Quilts. We had lots of laughter, fellowship and fun. Hope to see you at the next Community Service Saturday Sewcial in January. May 20 Speaker, Bert Corley, see pictures below. Happy Birthday to Common Threads Guild on August 26, 2013, which is the Monday night meeting. We will be having a Pot Luck Dinner to celebrate. So bring your favorite Pot Luck Casserole, Salad, Cold Salad (yum) or a simple dessert. We are having a contest for the best Pot Holder with Prizes. 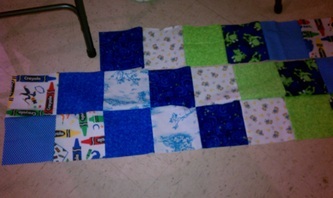 The pot holders must be quilted using cotton fabric and batting or Insul Bright ( can be bought at Hobby Lobby, JoAnn's or Sewn with Luv). Some themes to think about are Best Food Theme, Cutest, Best Kitchen Theme, Most Practical and Best Non Kitchen Theme. 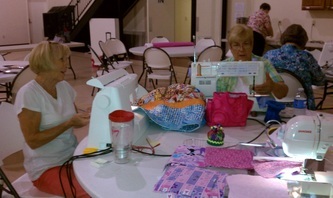 You can make two Pot Holders and donate one to the Chinese Auction in November. We will have a brief Trunk Show from Dana, owner of Southern Stitches Quilt Store, and she will tell us about her love for quilts . 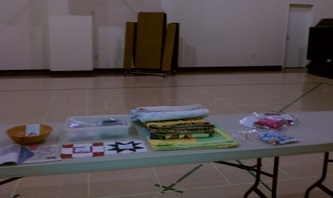 Dana was recently kind enough to let us sell opportunity quilt raffle tickets during Shop Hop at her new shop in Thomaston, Ga.